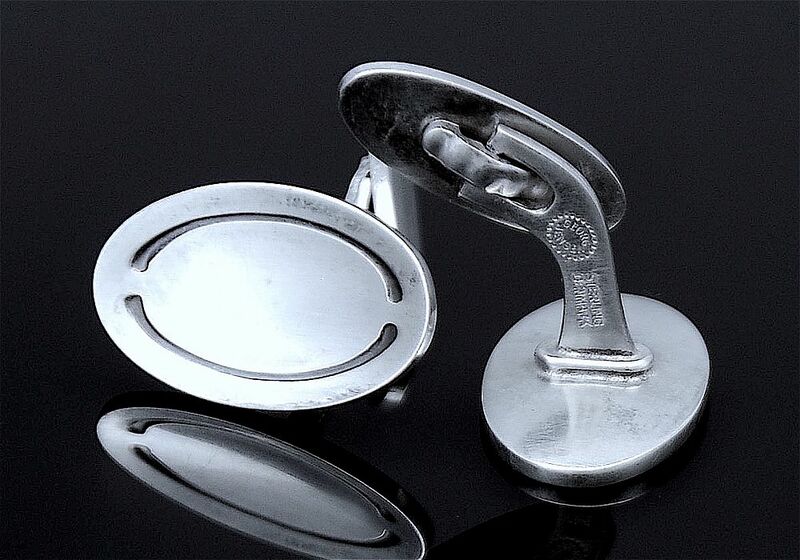 This is a very elegant pair of silver cufflinks by Georg Jensen. 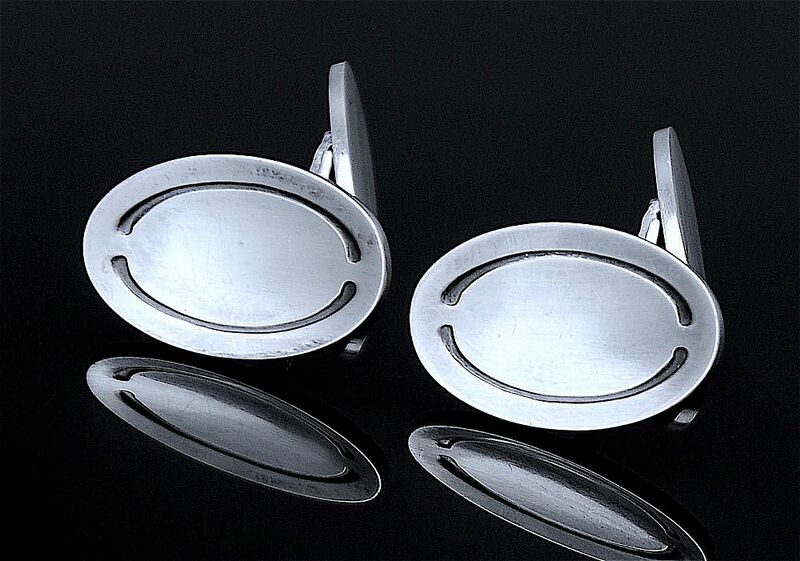 The oval tops are slightly concave with two separate incised lines running the length of each side. They have a curved post with a "whale tail" that can be laid flat against the post when putting them on. One side of the post bears the oval dotted edge Georg Jensen cartouche (1945 to present day) together with the words "Sterling Denmark" and the other side is stamped "75"